I'm conflicted about Mighty No. 9 , Shantae: Half-Genie Hero, and Awesomenauts: Starstorm. I wholeheartedly support the development of both games, and I feel that we need more high quality, 2D games from developers like Comcept USA and WayForward, but I just can't get excited by these Kickstarters. Every time I see them, I get this sinking feeling that something is wrong. This isn't right. It's the same feeling I had when Double Fine's Massive Chalice hit Kickstarter. These companies don't belong on Kickstarter. It's as though these major developers are corrupting the crowdfunding site. Instead of drawing attention to the idea of crowdfunding, they're taking money and attention away from even smaller developers, smaller projects, and getting games funded that could have come about via more orthodox means. While Massive Chalice was the project that first made me think bigger developers, ones with access to major publishers, had gone too far, it was Mighty No. 9 that solidified that idea. At first, I was smitten and overcome with glee. Keiji Inafune was here! He wanted to make a Mega Man successor! Let me throw my money at him! Except then I realized that this is Keiji Inafune. He didn't need my money or direct support. He's known and respected in the industry and probably would have had the contacts at companies to perhaps get a major publisher to look at his idea, help back him, and get Mighty No. 9 made via more traditional means. 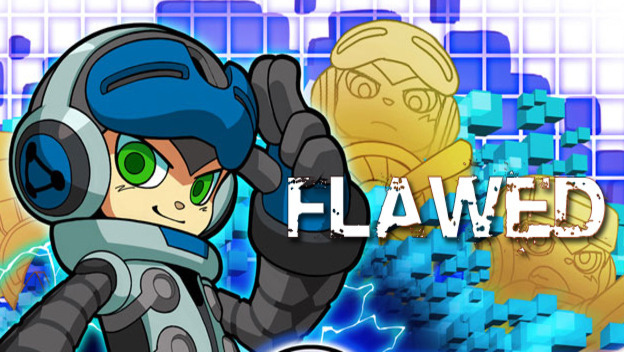 Yes, Comcept USA is new to the industry, but Inafune isn't. People know to trust in his vision. Moreover, the denizens of the Internet have been clamoring for a new Mega Man game for years, and I'd think most publishers would realize that a Mega Man-style game by its creator would be easy money. At the very least, I think Sony would have backed him, had he come to them first, saying, "Let me make you a PS3, Vita, and PS4 exclusive." Still, despite my feelings towards the Mighty No. 9 Kickstarter, it is WayForward's Shantae: Half-Genie Hero that gives me even greater pause. This is an established, Nintendo-centric series. The developer is even currently working on a 3DS installment called Shantae and the Pirate's Curse. It was this Kickstarter project that not only left me surprised, but also wondering why it was even there. WayForward is a pillar of the gaming community. It just released DuckTales Remastered, largely declared a triumph. It has ties to publishers like Capcom, Konami, Majesco, and D3 Publisher. I mean, Capcom has even published a Shantae game before, the original Shantae for the Game Boy Color. You'd think, if a developer like WayForward decided it wanted to put together a multiplatform, major Shantae release like Shantae: Half-Genie Hero, the company could have gone to a publisher that knows the series, is fairly big on digital releases, and that recently worked with WayForward on DuckTales Remastered, instead of turning to Kickstarter and the general public. Still, the recent, major video game Kickstarter that seems most wrong in my eyes is Awesomenauts: Starstorm. Clearly, this is just me, as Ronimo's expansion to Awesomenauts has almost doubled its $125,000 goal, with over $220,000 raised. It just boggles my mind that this, a major release available on practically every platform, with an actual publisher, DLC characters that cost $4.99 each, and character skins that cost $2.49 each, went to Kickstarter to get an expansion funded. If a developer is going to make an expansion to a game, then clearly that game is successful and in demand. So, shouldn't the developer then be funding the expansion development with funds earned from the original game and its DLC sales? Or by going to its publisher, dtp Entertainment, to use the loyal fan base as leverage to convince them to make more games? I just worry that all of these Kickstarter projects are going to detract people from the games that truly need their money. Yes, Mighty No. 9, a new Shantae game, and an Awesomenauts expansion are lovely, and I'm sure we'll appreciate all of them. I know I'll be buying Mighty No. 9, at the very least, when the game is released. I just think that the larger developers, ones who doesn't even deserve to be called independent any more, shouldn't just immediately leap to Kickstarter because they know it will make news and get them instant funding.